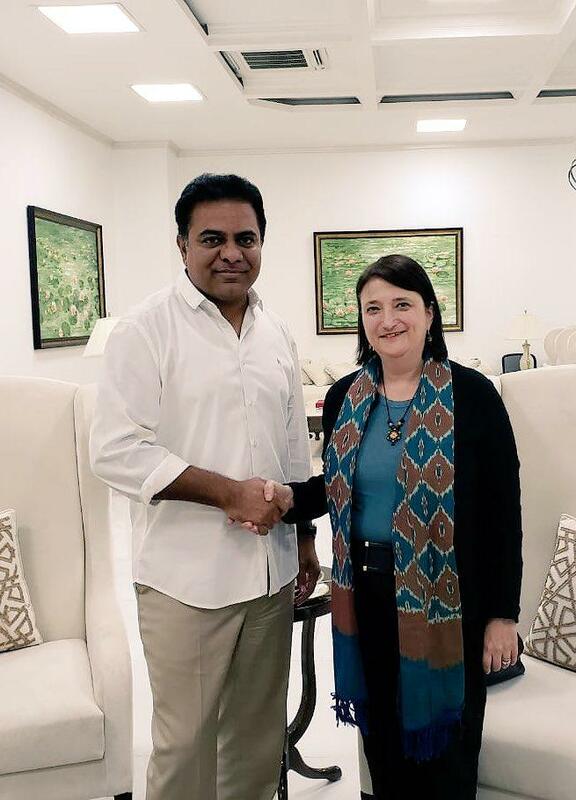 TRS party Working President KT Rama Rao met US Consul General Ms. Katherine Hadda and discussed the issue of Telugu students, who are going through a crisis in the USA. During the meeting with Katherine Hadda at Camp office in Hyderabad, KT Rama Rao appealed for assistance to the students from the US government. The trade relationship between Telangana and US were also discussed during the meeting. Ms. Katherine extended greetings to KT Rama Rao for being appointed as TRS party Working President.